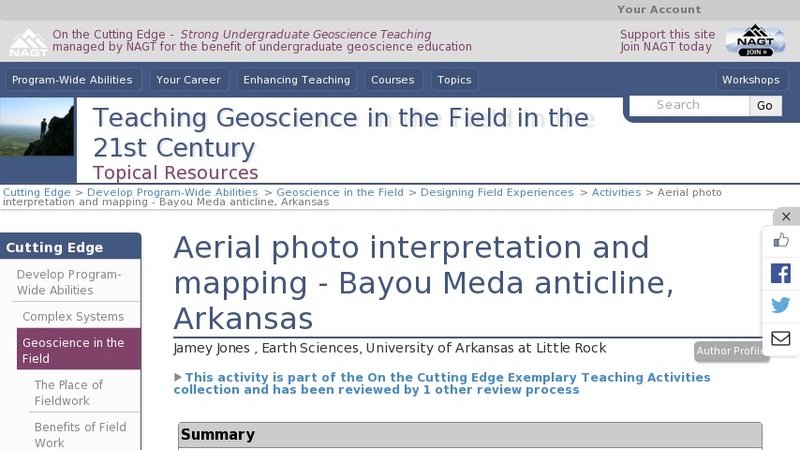 Students use aerial photography combined with field observation to interpret the geology of a megascopic anticline-syncline pair exposed in the Ouachita Mountains of central Arkansas. This project focuses on the integration of remotely-sensed data with direct observation to develop and test hypotheses regarding the geology and structure of a well-defined field area. Students construct a geological map and cross-section that synthesize their observations and illustrate the geology of the field area.